Our life stories are being lived out every day. We make choices and choose paths that lead us down new roads and dreams. I have been thinking a lot about what kind of a read my story is right now. I look back and see many pages filled with adventure, laughter, pain, fear, and realizations. Many characters have been written in and out of my chapters as well. My life speaks of failures and successes; waiting, doubts, and glimpses of something new. This got me thinking about my story now and what is to be written on my pages to come. It has been fun to think about what I want my life to be like, and what I want it to say. It is always good to know what you stand for. It is also empowering to really think about the person I want to be. It forces hard questions to be wrestled with. I would love to think about this with you. 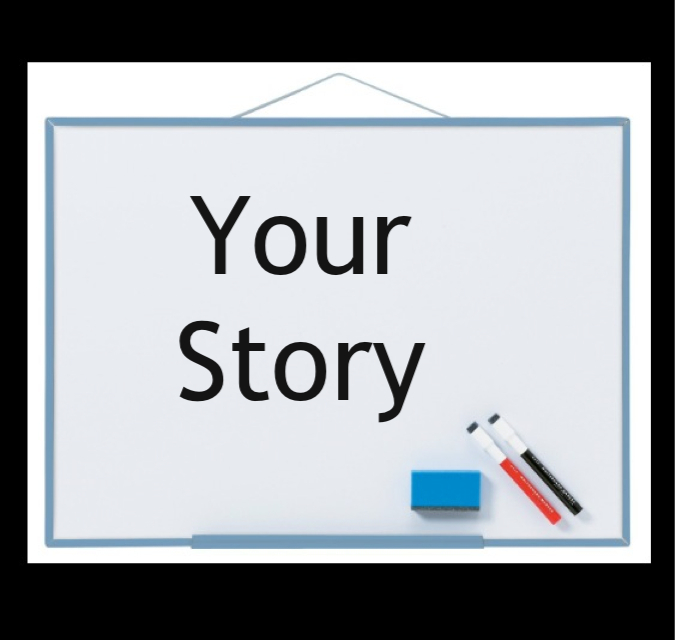 If someone gave you a blank whiteboard to write out the rest of your story what would it say? Who is the person you want to be? What kind of character are you? We have a lot of say in how our story is being written. This is not something to take lightly. You matter. Your story matters. i’ve been thinking on this all day and it’s a tough question for me to answer. i would want my story to tell that i did something great. i’m not sure what i want that thing to be but i do know i want it to be great. as much as my introverted self may cringe at this, i would love to be in the spotlight once for something amazing, knock my socks, rock my world, great.